Palmerbet Sports Team has EPL tips for the standalone midweek fixture between under-pressure Everton and heavyweights Manchester City. Final Thoughts: Before the full round of Week 26 matches this weekend, Everton and Manchester City square off in a Week 27 clash. Consistency is proving frustratingly elusive for ninth-placed Everton, who are coming off a dismal 3-1 home loss to Wolverhampton. They haven’t won back-to-back games since October. Lucas Digne and Idrissa Gueye are back to alleviate Everton’s heavy injury toll. 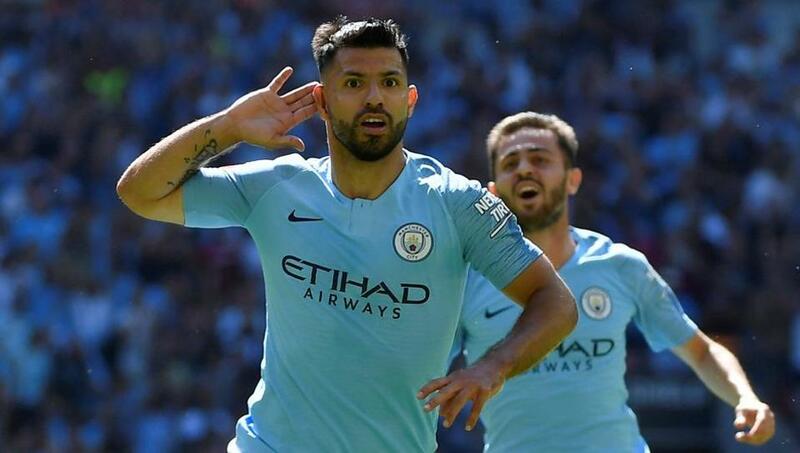 Second-placed Man City have won five of their last six, bouncing back from a shock loss at Newcastle with a 3-1 home win over Arsenal as Sergio Aguero blasted in a hat-trick. Vincent Kompany remains sidelined but Benjamin Mendy could return. Man City have won seven and drawn four of their last 13 against Everton. The Citizens won by 3-1 scorelines at Goodison Park last season and at home earlier this season. Gabriel Jesus and Raheem Sterling both scored in both games. City may have lost three of their last five on the road, but they should be able to account for an out-of-sorts Everton side that has just three wins and two draws from their past 12 EPL games. Everton’s best effort against the ‘Big Six’ clubs this season was a scoreless draw at Chelsea in Week 12.